Back in the 1970s, “The Motown Sound” was transitioning from the sweet soul sound that had catapulted in in the prior decade, led by the production work of Smokey Robinson and Holland-Dozier-Holland, to a grittier, funky vibe, led by songwriter and producer Norman Whitfield. And a group that became the deliverer of many of Whitfield’s strongest work was The Undisputed Truth. Now, nearly a half century after “Smiling Faces,” Joe and The Undisputed Truth, now including BJ Evans, Dazee Love, and Jaki G., continue to perform around the world. And the quartet has a brand new album, produced by legendary Detroit producer and arranger Dr. Marlin McNichols. 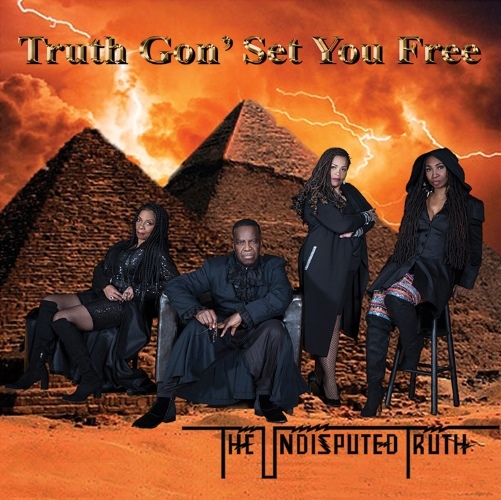 Truth Gon’ Set You Freeis a terrific combination of funk and sweetness, with the kind of full bodied production that takes us back to the time we first heard The Undisputed Truth. The new single from the album that is creating a buzz around the world is the light ballad “Butterflies.” The song glides beautifully and is a great introduction to the new album and a re-introduction to Joe Harris and company, who sound better than ever. We like it so much, it is our Song of the Month. Check it out below and tell us what you think! The Undisputed Truth - "Butterflies"